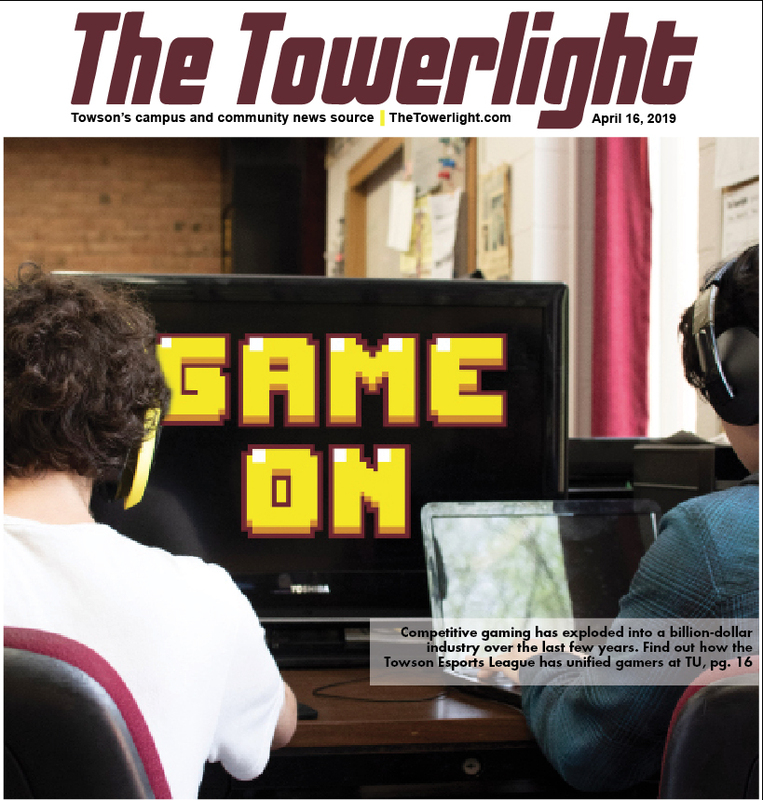 Over the past week, the Towerlight talked with several administrators about how Towson’s facility changes are affecting students’ day-to-day lives. We also sent out a survey to students online. The results of the survey are not meant to be comprehensive, but were gathered from the students who responded in time. Director of Facilities Planning Kris Phillips understands that the construction projects on campus are not always convenient to students, but said that there is a thoughtful process that goes into all construction planning. The guiding principles of facilities planning are capacity, community and connection, according to Philips, and the main concern with every project is the impact it will have on students. “We really think hard about how we make these connections and about the long-term plan,” Phillips said. Forty percent of survey respondents said that campus feels more crowded this semester than in previous semesters, with respondents reporting heavy pedestrian traffic around the CFA building and within West Village. The majority of respondents also reported that the heaviest pedestrian traffic is at the Union. Constructed in 1972 for a student population of about 11,000, the Union is slated to undergo extensive renovation in the coming years in order to provide more space for dining, retail and student organizations. According to Phillips, facilities on campus that were built in the 1970s and 1980s are coming to the end of their useful life and need to be renovated soon. 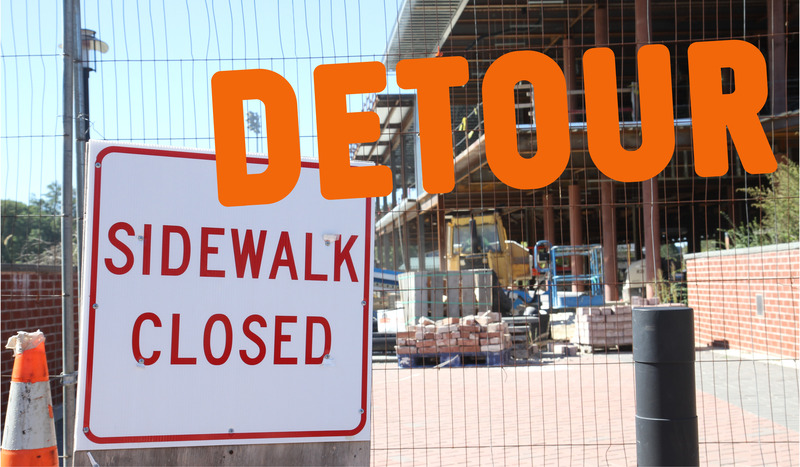 Seventy-five percent of survey respondents said that current construction projects have inconvenienced their day-to-day travel on campus, largely in areas surrounding the West Village and Glen bridges, which are closed or partially blocked. Phillips said that there is a thoughtful plan in progress and that facilities tries to minimize student impact as much as possible during construction projects. Director of Parking and Transportation Services Pam Mooney said that the only substantial change to parking policy this semester was restricting resident freshmen from having vehicles on campus. 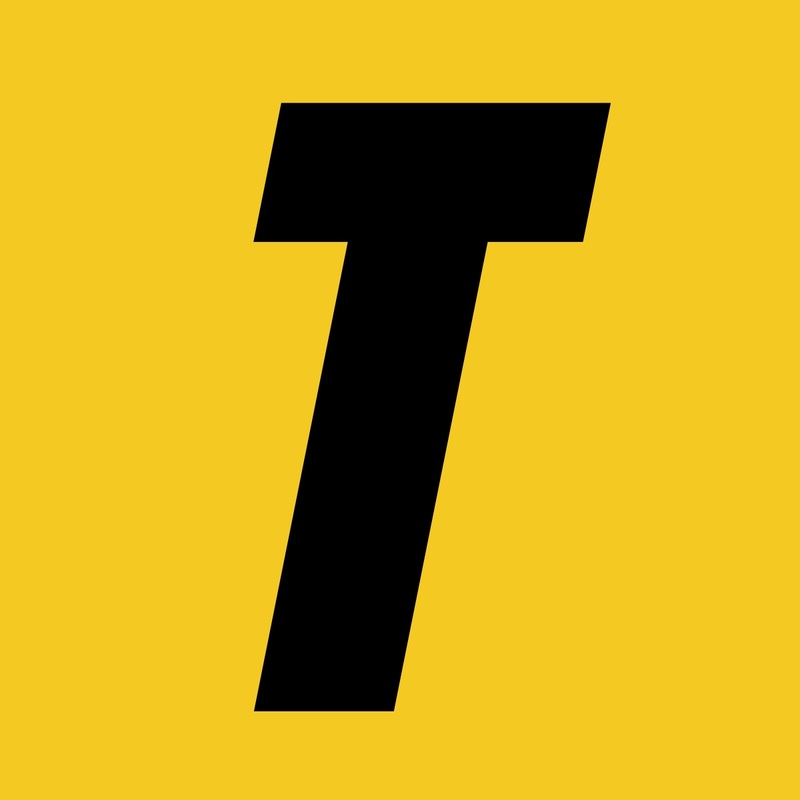 The 2015 master plan, an executive summary of Towson’s long-term visions compiled by various departments on campus, reports that the parking demand rose to 6,900 spaces since 2009, with 7,766 spaces available on campus. It also reports an average of more than 750 on-campus parking spaces available daily during peak demand, which tends to be on Tuesdays and Thursdays. Despite this, 84 percent of survey respondents answered that there is inadequate parking for students. The demand for parking is highest at the beginning of the semester, but as the semester continues, students tend to learn parking patterns and stop going to class as frequently, according to Mooney. The master plan references the addition of two new garages: one in South Campus on Lot 26 near SECU Arena and the other west of the Administration building. These additions would increase the total number of parking spaces on campus to about 9,490 over the next fifteen years. 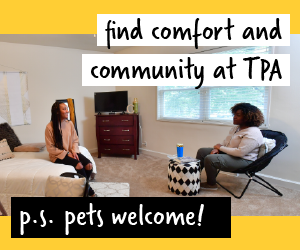 According to Director of Housing and Residence Life Ron Butler, there is a definite need for more on-campus student housing, as over 85 percent of first-year students express interest in living on campus. Butler said he hopes that the recently-completed Carroll and Marshall halls are affecting students in a positive way. The two halls added 700 new beds to campus this semester through apartment-style, 2- or 4-person suites. The master plan calls for a new residence hall on the land where the Enrollment Services building is currently located, but because of the office space utilized by that location, the construction is “not going to happen anytime soon,” according to Butler. Assistant Director of Housing and Residence Life Charlie Briddell said that the master plan can be a “moving target,” and that while renovation plans moving forward have been discussed, they are not definitive at this point. According to Briddell, there is also a plan for a major phased renovation of the Glen Complex in the next four to six years, while the 2015 master plan reports a plan to develop South Campus for residence life and dining with an addition of 1,000-2,000 new beds. However, Butler said that sometimes the master plan can be aspirational. “It’s hard to say that every element of the master plan is going to happen,” Butler said. 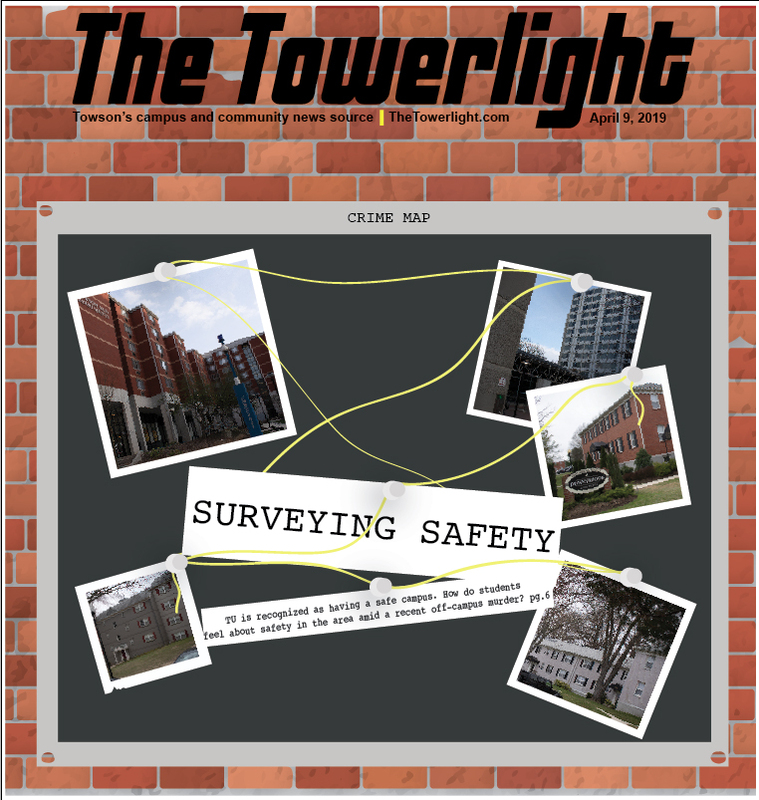 The Towerlight’s survey found that 71 percent of respondents think that construction at locations like Cook Library’s Starbucks, Newell Dining Hall and the Den has affected dining elsewhere on campus. Survey respondents also reported longer lines and larger crowds at dining halls and la carte locations, which are mostly affected once dining halls close in the evening. “Lines have increased dramatically at Paws and Roadside, especially after the dining halls close,” a respondent said. 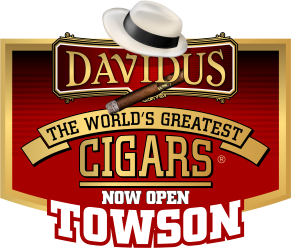 Students reported concerns that with Towson’s increased enrollment, there are not enough dining services available to meet campus demand. With the renovation of Residence Tower combined with the addition of Carroll and Marshall, the university has had a net gain of 200 resident students this year. 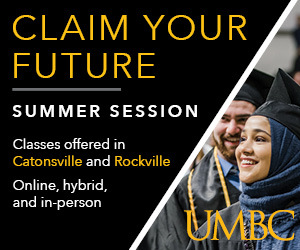 Associate Vice President of Auxiliary Services Dan Slattery said that although Towson’s overall enrollment is up slightly, it is not enough to affect demand.